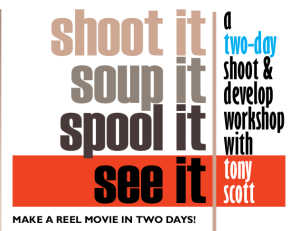 Make a film on Super 8 black-and-white in 2 days and process it at the end. Workshop on Thurday the 28th and Friday the 29th of April . Download the full details of the programme.